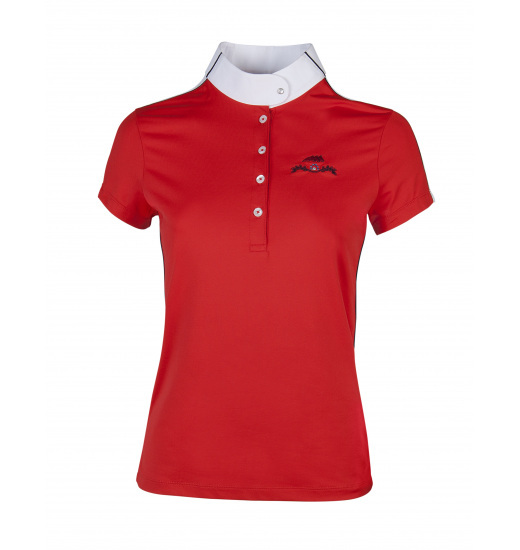 Ladies' show shirt Messie with short sleeve in modern style. 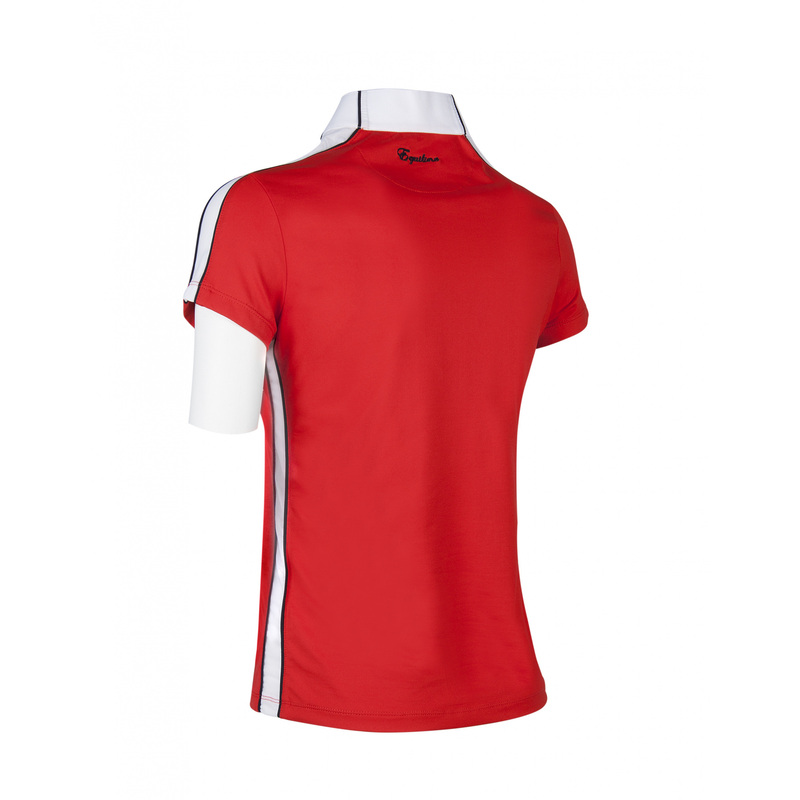 Its intense black colour interestingly contrasts with its white collar and tapes which are on the sides and shoulders. 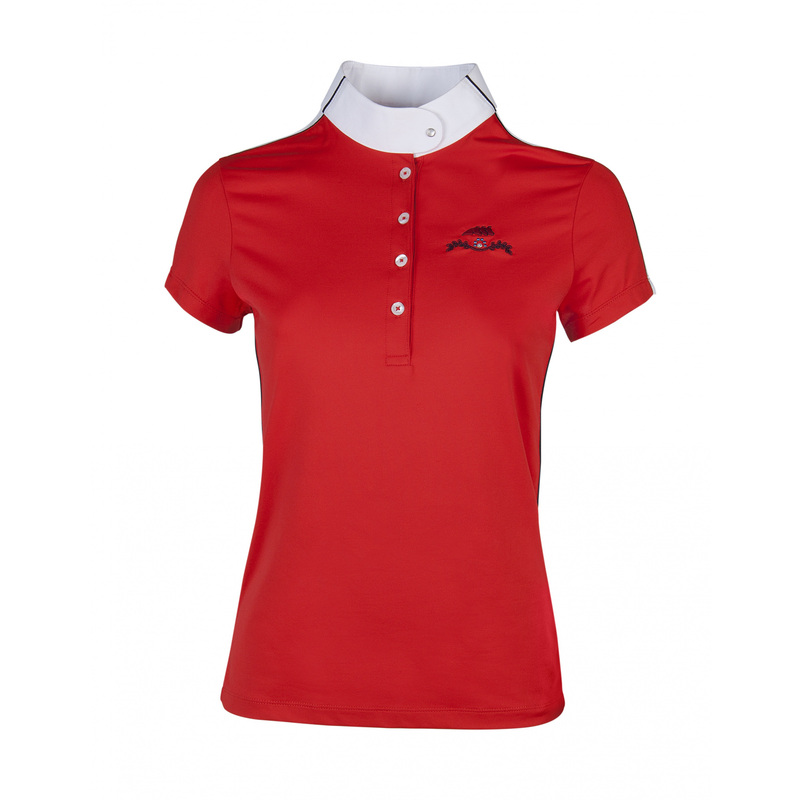 The shirt is made of breathable, elastic and moisture draining material. 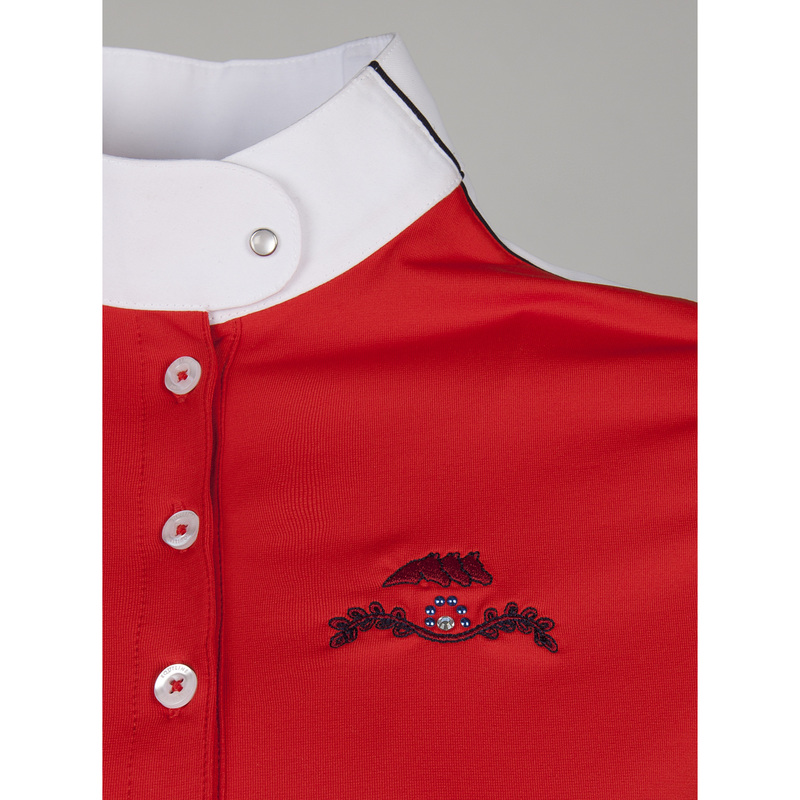 A black Equiline writing is placed on the back of the shirt, and a delicate brand's emblem can be found on the chest.